Don’t let your message be muddled by poor communication! Effective communication is a challenging endeavor. It can be hard to showcase your work in a way that grabs your audience’s attention. At Turnstone Communications, we know where you’re coming from. All our team members have a background in life sciences research and know the challenge of turning innovation into excitement. We will quickly grasp the underlying concepts driving your business, to help you translate your work into an effective message that resonates with clients, partners and investors alike. Employ our expertise in science marketing and communications to get your company the attention it deserves! We will get to know both you and your science to gain an in-depth perspective on your particular challenges and needs. This process is particularly efficient as the whole Turnstone team has a background in life sciences research. Working in close contact with your team, Turnstone will create and implement a strategic communications and marketing plan to optimize both your reach and your organization’s positive exposure. Communication comes in many different shapes and sizes. Whether in print or online, we will create impactful communications and marketing materials to suit your needs, with a professional design and high-quality content. Turnstone is well embedded in both the Belgian and the global life sciences community; we will draw on our extensive network of contacts to help you establish connections beneficial to your organization. From early stage start-ups to established pharmaceutical companies: we have worked with people from many different branches of the global life sciences ecosystem. Communication is all about connection, so let’s take that first step and get in touch! Tell us about your innovations, goals and challenges, and we will create a tailor-made plan to let your company shine. We’d be delighted to set up a no-strings-attached meeting, to sit down together and figure out how best we can support your needs. Like our namesake, the Turnstone bird, we will help you uncover your best potential! Keen to keep up with the life sciences ecosystem? 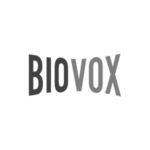 Check out our global news platform BioVox for the latest in Belgian life sciences!